I laughed at this; then I thought about it. Ever wonder about the question posed here? I am just throwing out a "teaser" about my website makeover - -I have it all layed out now and am working on new content - it's about 3/4 the way done and coming along nicely! 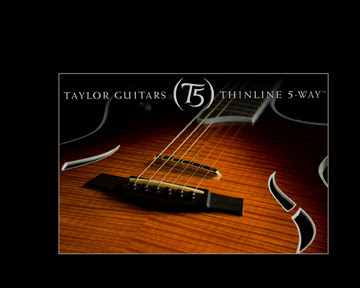 I hope to announce the new launch within the next week - two week time frame......I'll keep you posted! Took a quick shot of my trophy this morning, just wanted to share . Not for any bragging reasons, but because what it means to me. This is a milestone- A chance to reflect on what got me this far. The cool thing is how I started getting a clearer vision of the work I wanted to do and the work I wanted to create. I think back to when I started this journey and just wanted to be able to take pictures - Now I want to tell and express stories one image at a time. To have an award of this caliber bestowed upon me is to validate all the hard work it has taken to get me to this point. I just got back in town from attending the Professional Photographers of West Virginia Spring Convention. 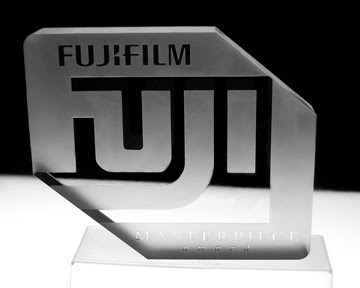 I am pleased to announce I have recieved my very first FUJIFILM MASTERPIECE AWARD of excellence in the Commercial print competition catagory!